The Lenyadri Ganpati Girijatmaja Vinayak temple is located at Lekhan hills, at a distance of about 160 km from Pune enroute to Nasik. Lenyadricha Girijatmaja is considered to be one of the Ashtavinayak shrines of Maharashtra, celebrating eight instances of legends related to Ganesha. 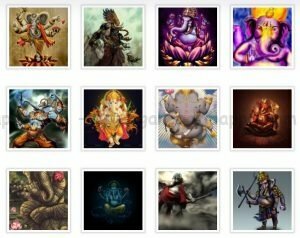 The legend surrounding Ganesha’s birth speaks of Parvati creating a young lad from the dirt of her body, who later on came to be worshipped by one and all. Parvati desired to see this lad as an infant, and to achieve this objective resorted to meditation. Her desire was granted and Ganesha is said to have reincarnated himself as an infant and lived in the Lenyadri hills for 12 years. Several legends are associated with his life here. An irregularly carved image is the object of worship here. This stone temple, and is located on a hill accessed through a flight of 238 steps. By Road: Lenyadri is situated on the North-West banks of river Kukadi. In Ganesha Purana this place was called as ‘Jeernapur’ or Lekhan parvat. River Kukadi flows between Junnar and Golegaon. On Pune-Nashik Highway, Lenyadri via Chakan-Rajgurunagar, Manchar, Narayangaon and Junnar is at distance of 94 kms from Pune. Nearby and convenient railway station is Pune and Talegaon. Lenyadri is at a distance of 5 kms from Junnar. As such one has to come to Junnar first for going to Lenyadri.Rickshaws, Jeeps and Buses are available for going to Lenyadri from Junnar bus stand. There are regular State Transport buses for Junnar from Shivajinagar bus stand of Pune and from Mumbai Central bus stand of Mumbai. There are 307 steps leading to Main Temple which is dedicated to Girijatmaj Ganapati. Arrangement of Palkhi or Doli can be made at the foothills for those devotees who are not able to climb up so many steps. The Bhakta Niwas (Tel: 02132-222350 & Tariff: Rs 350 for 10 people) at Lenyadri is a good option for staying over. The rooms and loos are clean enough. For meals, Hotel Girija, which is right at the foothill (near the parking area), provides good, hygienic, typical Maharashtrian food (Rs 45 for an unlimited thali). Girijatmaja’s panchamrut pooja is performed everyday in the morning. Bhadrapada and Magh Shudh Chaturthi are celebrated here on grand scale. In month of Magh there is Akhand Harinam Saptah for 7 days. 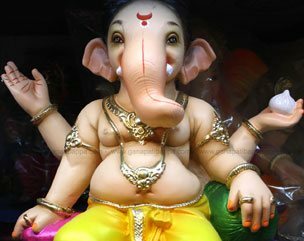 On Ganesh Jayanti, Sermon on Ganesh Birth, bullock cart race etc. are conducted for entertainment. On Bhadrapada Shudh Chaturthi, Abhishek, Pooja, Kirtan etc. are held in the temple. 1. Though the caves on Lenyadri are under control of Archaeological Dept. of India, administration of Ganesh temple is looked after by Temple Trust. 2. Temple trust has built Yatri-Niwas for lodging purpose of devotees. At a time arrangement of 300 devotees can be done. Rs.200 are charged for a room having capacity of 10 people. Beddings are provided by trust. A very good lunch arrangements is available at Hotel Girija. 3. There is a small garden, namely Sunder Udyan near Bhakta-Niwas. 4. Lenyadri is name of Temple Trust and it comes in Golegaon. Main crops of this area are Grapes, Tomato, Cacumber and Sugarcane. A very good season for going to Lenyadri is from Diwali to May. 5. Since there are nearly 17 to 18 Buddhist caves on Lenyadri, it is called as Lenyadri. To the west there is a beautiful Stupa which is called as Bhima’s Gada (mace). Sound echo’s over here. One the top of mountain there is a Shiva’s temple. 6. Fort Shivneri, where Chhatrapati Shivaji Maharaj was born is at a distance of 5-6 kms from Lenyadri. 7. Virtuous deeds like Abhishek, Pooja, Sahastravartan etc. are done by temple trust on behalf of devotees. 8. Since the temple is under control of Archaeological Dept. of India, there is no electricity in the temple. Temple is so constructed to have a sun light on idol from sunrise to sunset. 9. 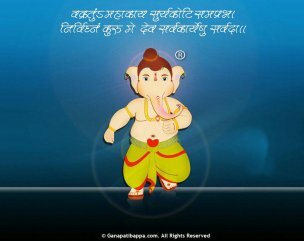 Since the Ganesh idol is attached to the wall one can not circumnavigate Girijatmaj. Lenyadri is silent and lonely place. Silence loving people can come here and meditate and have Girijatmaj’s blessings.